This Lamborghini Miura was bought by Greek shipping magnate Aristotle Onassis for Stamatis “Greek Elvis” Kokotas 1969. The poor car just couldn’t keep up with Kokotas’ love for rally racing and its engine gave in in 1972. It was left in the underground parking lot of a Hilton in Athens while the engine was sent to Lamborghini for repairs. 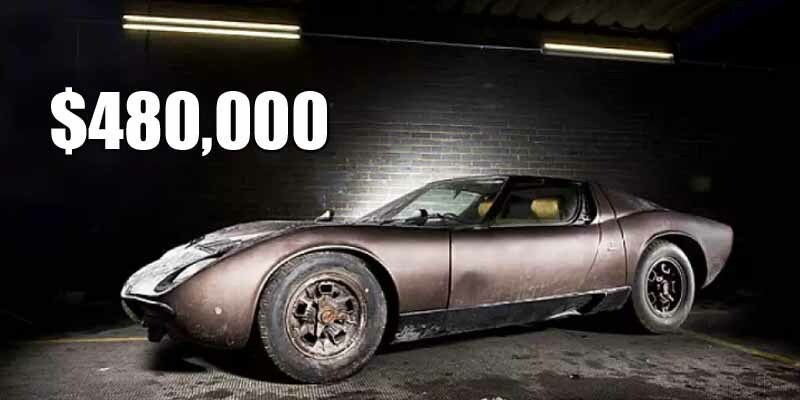 Kokotas lost interest, didn’t pay Lambo and the poor Miura was left standing there for 30 years. When the Lambo was put up for auction in 2012, having been reunited with its engine, bidding stalled at $483,210.